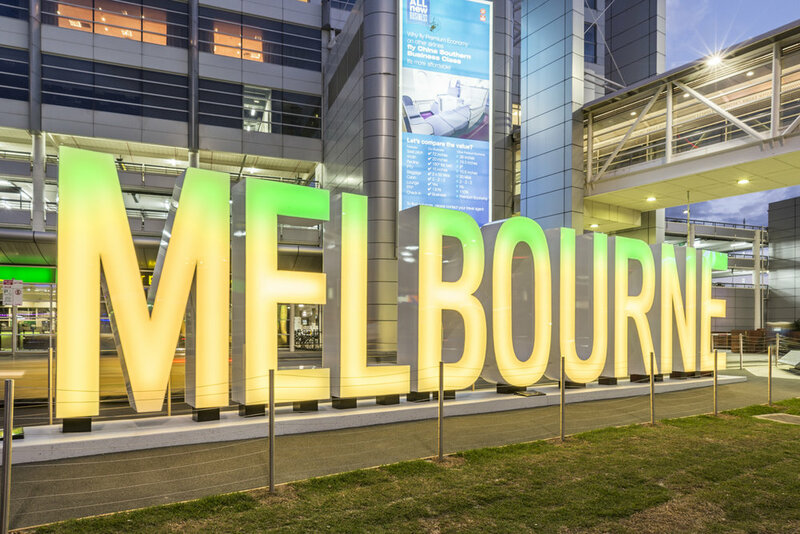 Melbourne Airport — We Are BEST. 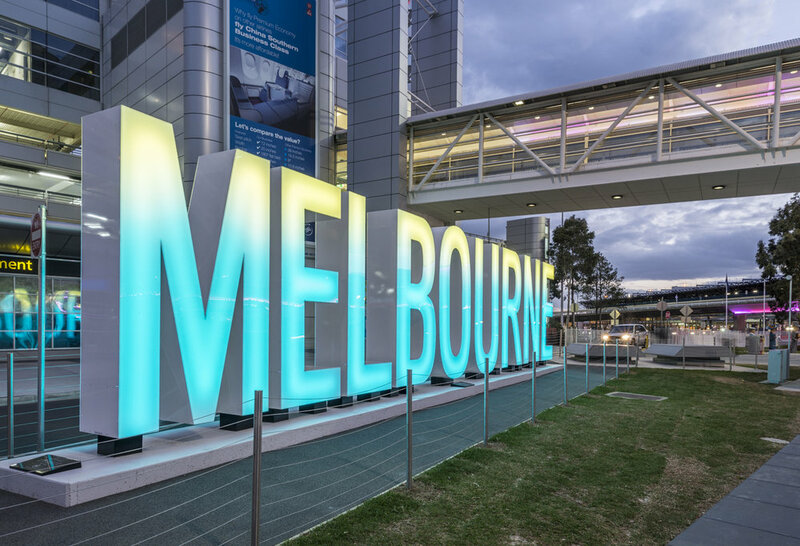 The outside arrivals area of Melbourne Airport is in good company with some of the world’s most iconic airport signage and holds a place in the heart of Victorians, Australians and international travellers alike. 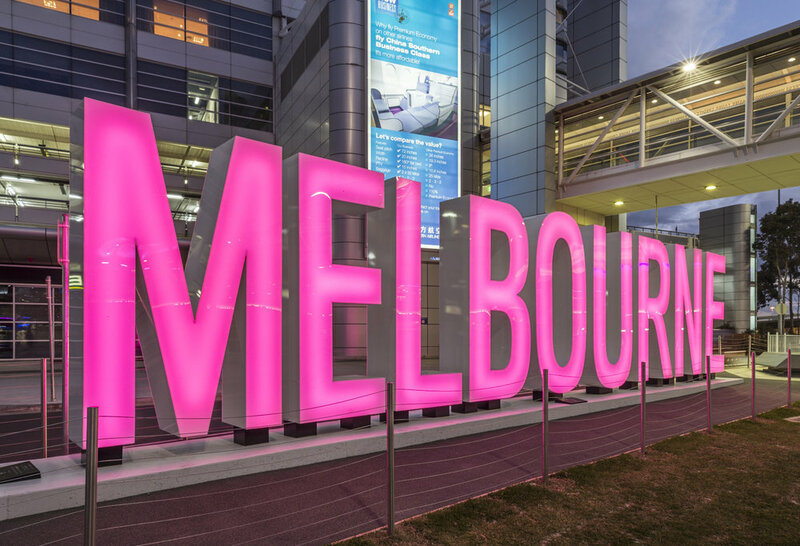 As part of the ‘iconic’ place-making strategy set by Melbourne Airport, BEST. was engaged to design and build the 3-meter high structure that now forms the centre of the domestic and international terminals. 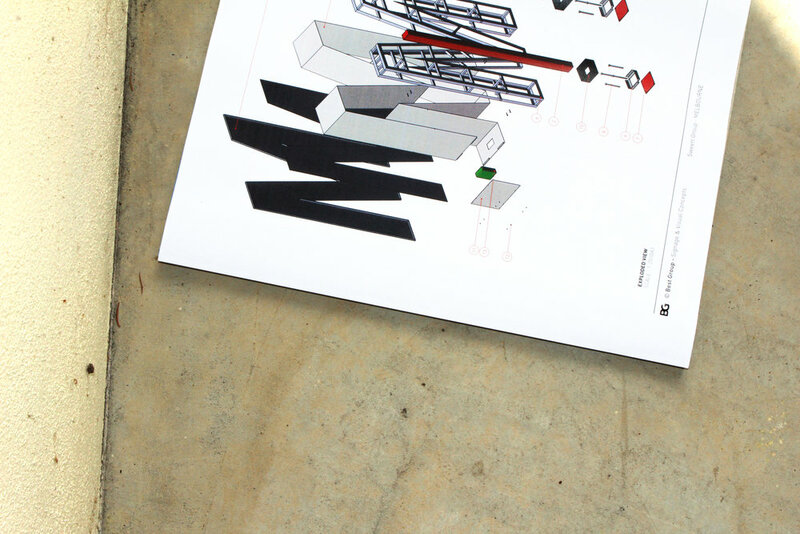 BEST.’s lead industrial designer led the brief for the design, construction and contract management of the sculptured lettering – engaging long-term partner Rhino Signs to drive the manufacture and installation. 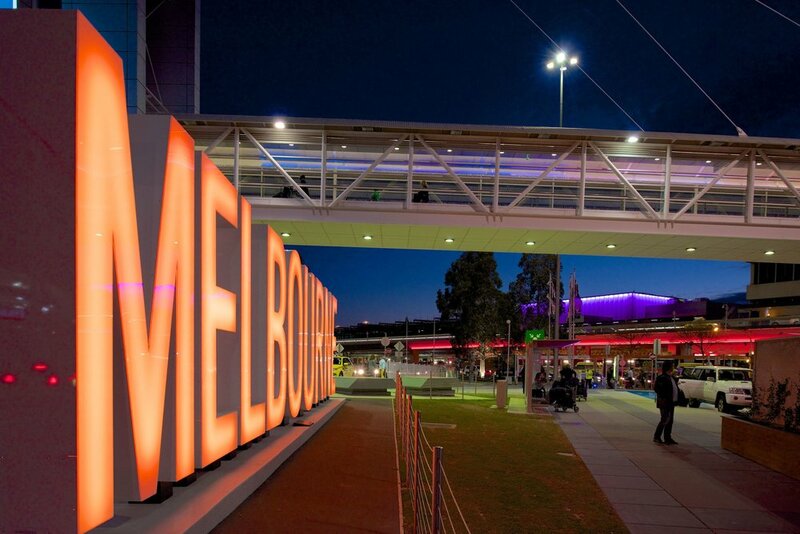 As part of the value engineering and management process, a fully customised lighting design with centralised control network, connecting both the sign and the surrounding arrivals area, was implemented to galvanise the entire front of the airport with the destination icon and indeed bring the signage to life.